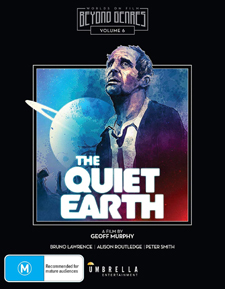 Directed by Geoff Murphy, The Quiet Earth tells the story of a man named Zac who is seemingly alone in a world where all other life appears to be extinct. He attempts to come to grips with the fact that no one is left, even considering suicide as a way out, but before he can go through with it, a woman named Joanne, and later a man named Api, suddenly appear. Initially happy to find each other, they all soon realize that Zac, a former scientist, may have had something to do with why the world is dead, creating a schism between the three of them. However, Zac believes that there may be more in store for them on the horizon, in more ways than one. Although based upon a novel by Craig Harrison, stories about post-apocalyptic worlds in which very few human beings survive are as old, if not older, than the mediums in which they’ve been told. Whether its Richard Matheson’s I Am Legend, George Romero’s Dawn of the Dead, or even the Time Enough at Last episode of The Twilight Zone TV show, The Quiet Earth owes much to the many stories of the past, but finds a new setting to tell them in: New Zealand. The most interesting aspect of the film is its ending, which is left ambiguous as to what exactly has transpired. There are several meanings that can be drawn out of it; whether they’re physical, metaphysical, religious, or all of the above, they’re all equally valid. The information that we’re given throughout the film is never concrete either. We’re never exactly sure if Zac, Joanne, and Api are alive or dead, and that lack of explanation makes for more of a fascinating mystery. Above all, The Quiet Earth is just smart filmmaking. It’s a favorite amongst science fiction fans for both its concept and its open-ended interpretation. To boot, you have strong direction from Geoff Murphy, who many know as the director of Young Guns II and Freejack, but also strong cinematography from James Bartle (Death Warmed Over, My Best Friend is a Vampire), and three excellent performances from Bruno Lawrence, Alison Routledge, and Pete Smith. Umbrella Entertainment’s Worlds Beyond Genres: Volume 6 Blu-ray release of The Quiet Earth is sourced from a 2K restoration. It’s a mostly good presentation with decent depth, detail, and color, but where it lacks is in its stability. There’s some noticeable wobble, which is obviously more prominent in static shots, and it tends to be distracting. There are also some minor scratches and instances of speckling leftover. It’s also a bit too clean at times, but is mostly crisp and organic in appearance. 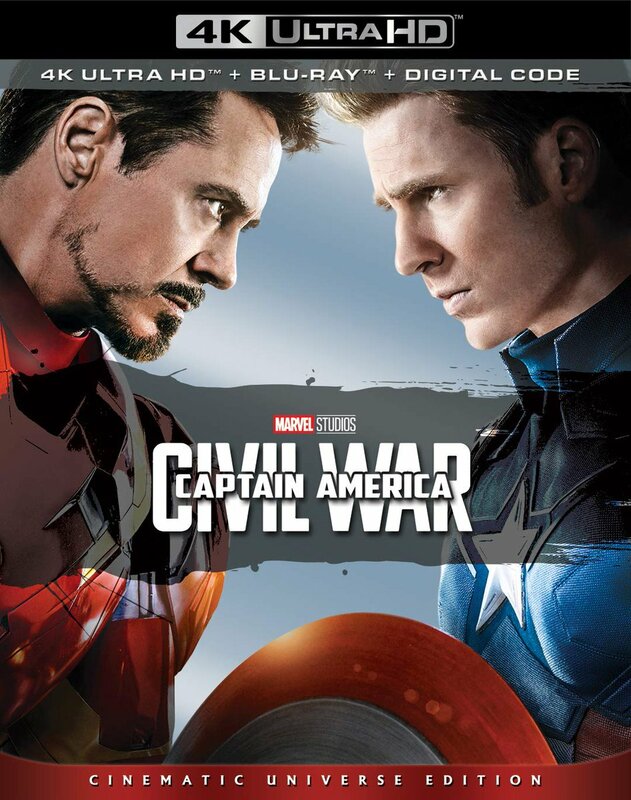 The audio for the film is provided as an English 5.1 DTS-HD track with optional subtitles in English SDH, which can be toggled on or off after pressing Play. It’s a fine track that features some panoramic activity, but having the original stereo presentation of the film would have been more desirable. Dialogue is clear and both sound effects and score have depth and push to them, and there are no noticeable instances of hiss, distortion, or crackle. Extras for this release include a vintage audio commentary with co-writer/producer Sam Pillsbury, who offers a wealth of information about the origins and the making of the film, but goes quiet a bit too often; a VHS-sourced theatrical trailer; and a restored HD version of the same trailer. Missing from the Film Movement Classics DVD and Blu-ray release is an audio commentary by Neil deGrasse Tyson and film critic Odie Henderson. Also missing from the Arrow Video Region B Blu-ray release is an an audio commentary by critic Travis Crawford; a 13-minute video essay by film critic Bryan Reesman; a 17-minute interview with film critic Kim Newman; and a stills gallery. Sadly, the lack of director Geoff Murphy’s participation is sorely felt. The Quiet Earth is a think piece with a loose narrative framework and potent imagery that continues to be heralded by new generations of viewers. Umbrella Entertainment’s release is a good one, one certainly worth seeking out if you haven’t seen the film before.